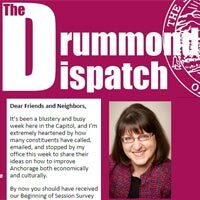 Anchorage – Speaker of the House Bryce Edgmon (D-Dillingham) released the following statement in response to the allegations made by Senator David Wilson (R-Wasilla) during a press conference this morning in Anchorage. Sen. Wilson used the press conference to address allegations from multiple witnesses that he acted inappropriately in the Capitol Building in Juneau earlier this year. 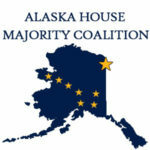 Anchorage – The House Resources Committee Co-Chairs, Representative Geran Tarr (D-Anchorage) and Representative Andy Josephson (D-Anchorage), have noticed a committee hearing on December 4th at 6 p.m. to get an update from the Alaska Gasline Development Corporation on the Alaska LNG project. On October 24th, I sent out notice for public testimony on Senate Bill 54, Crime and Sentencing. Thank you to those who were able to testify. 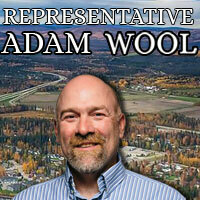 There is another chance to testify today, Monday, October 30, from 5-9 PM this time in the House Finance Committee. After the 4th special legislative session gaveled in Monday, the House Judiciary Committee immediately took up SB 54, a bill to modify some provisions of criminal justice reform policy enacted with 2016’s SB 91. 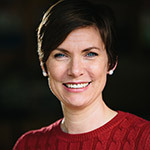 The committee took many hours of public testimony on Monday and Tuesday evenings and also consulted with experts from the Department of Public Safety, the Department of Law, and the Alaska Criminal Justice Commission. 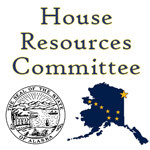 The House Finance Committee will meet on Saturday and Monday to accept public testimony on Senate Bill 54, making additional reforms to Alaska’s criminal justice system. The bill passed the House Judiciary Committee late Thursday night and has been referred to the House Finance Committee. Juneau – The House Finance Committee will meet on Saturday and Monday to accept public testimony on Senate Bill 54, making additional reforms to Alaska’s criminal justice system. 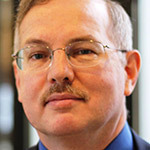 The bill passed the House Judiciary Committee late Thursday night and has been referred to the House Finance Committee. The two items on the call for this special session are the governor’s payroll tax proposal and SB 54 making adjustments to criminal justice reform. Both bills will be heard in House Finance this week and next. 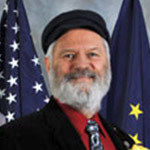 Juneau – The House Health and Social Services Committee will hold a hearing Thursday afternoon related to the Alaska Legislature’s ongoing efforts at criminal justice reform. Specifically, the committee will examine the implementation of provisions in last year’s omnibus crime bill to reinvest savings into resources to help those struggling with substance abuse.